This post is sponsored by Philly Pretzel Factory, however, all opinions are my own. December can be a busy month with extra things going on at school, shopping, extra cooking and baking, parties to attend and all the great things that go along with the holiday season. Last week during a hectic week we decided to keep things simple and grab dinner to go at The Philly Pretzel Factoryfollow in Temple, PA. Our family loves soft pretzels and making a meal out of them sounded like a fun family dinner date! Philly Pretzel Factoryfollow is the world’s largest Philly-style pretzel bakery with over 100 franchised locations throughout the United States. Philly Pretzel Factory’s promise is freshly made dough and that they hand twist each and every pretzel. Every menu item is also guaranteed to be freshly baked and served hot out of the oven. 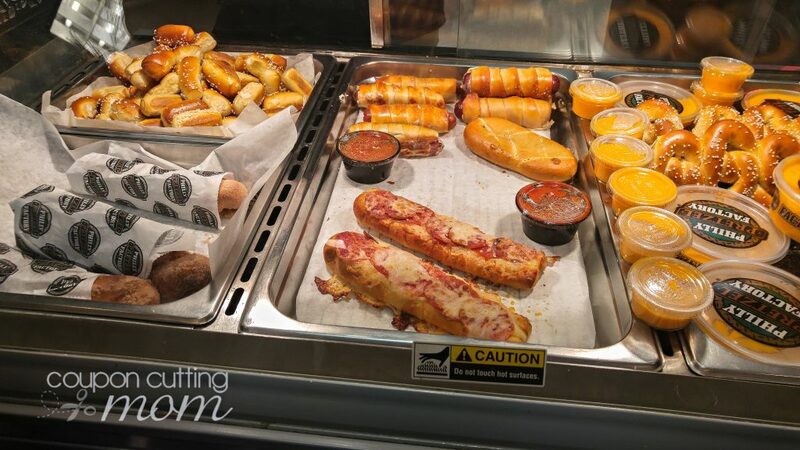 Our dinner order included pretzel dogs, spicy pretzel sausages and my favorite the pepperoni pretzel melt! This melt is so yummy and full of cheese, spices, and pepperoni slices on top of a soft pretzel rod with a cup of zesty marinara sauce for dipping! We also added some rivets with a yummy mustard sauce for dipping to our order. Dessert was a cinnamon pretzel twist although I got to taste very little of this as everyone in the family wanted to help devour this sweet treat. I know now for next time we need to order more of the cinnamon pretzel! 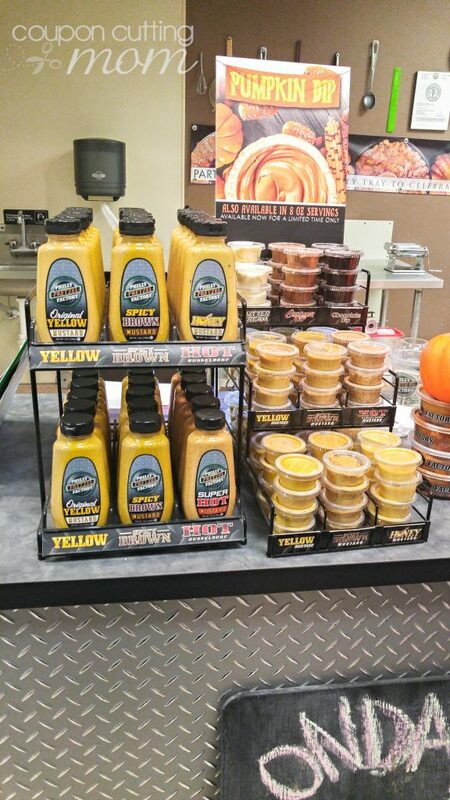 Whether you need a snack for one or dinner for a crowd or even a holiday appetizer you will find it at Philly Pretzel Factoryfollow. Choose party trays that include flavored pretzel rods to mini dog bites to rivets pretzel bites. No need to cook when you bring these grab and go appetizers to the next party! Find your local Philly Pretzel Factory using this location search featurefollow. 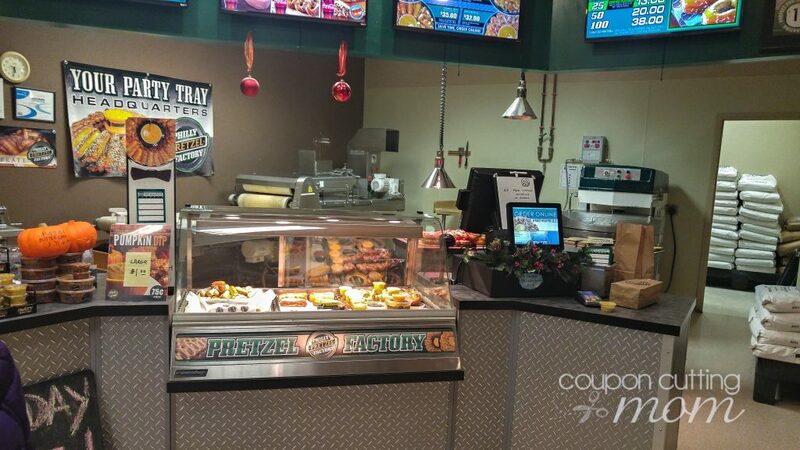 The next time you are hungry for tasty hot pretzels at reasonable prices be sure to head to Philly Pretzel Factory.